When people talk about making their home energy independent, they often talk about solar panels and wind turbines. But before all of that, a home has to be tight. That’s not as exciting, but necessary. 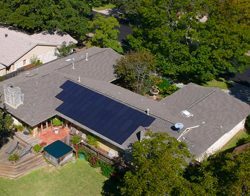 Lester Graham is following Greenovation.tv’s Matt Grocoff as he tries to make his home the oldest net-zero-energy house in America. The note on Matt’s door told me to come on in and head for the basement. Matt’s 110 year old home has what’s called around here a “Michigan basement.” Basically, cement floor, stone walls, low ceilings. Not glamorous. Matt is spraying expanding foam insulation up in that area where the floor framing sits on the foundation. The sill plate… which is basically nothing more than one-and-a-half inches of wood between inside your home… and the great outdoors. Maybe you’ve been in the basement of an old house and sometimes you can actually see daylight through the sill plate in places. Those leaks need to be sealed. That could be done with caulk. Then the area needs to be insulated. That could be done with fiberglass insulation. The foam insulation kit costs about 300-dollars. It’s basically two tanks -each about the size of a propane tank you’d use for an outdoor grill. A hose from each tank is attached to a spray gun that mixes the chemicals. The chemicals mix as they come out and the make a sticky foam that expands into nooks and crannies and then hardens after several minutes. Matt’s goof means he’s going to have to wipe up some of the mess and spray again. But it’s not a disaster. If you’ve got a big job… maybe new construction or a remodel that takes it down to the studs… you might want to consider a professional. John Cunningham owns Arbor Insulation in Ann Arbor, Michigan. He says, sure, if you’re up to it… do it yourself. But the professionals are recommended for those big jobs. And right now there are federal tax credits for spray foam insulation– 30-percent up to 15-hundred dollars. That credit is limited though. 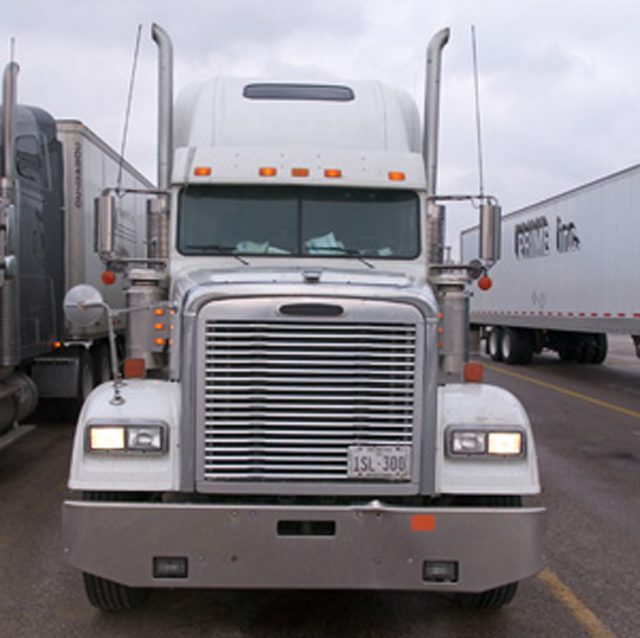 Some states and even municipalities are considering incentives. And as he zips up, I get the hint that Matt has to get back to work. It comes down to aesthetics for a lot of these associations. They have rules about how tall your grass can be, when trash cans can be set out, and what color your house can be. Sometimes these associations just don’t like solar panels, or they worry they’ll be sued by neighbors. Raymond Walker is a lawyer for Standard Renewable Energy. It’s a fast growing solar installation company in Texas. He says these restrictive rules can cost jobs and money. There are some state laws that say homeowners’ associations can’t stop the construction of solar panels, and now some legislators want to see a federal law passed. the country like both of those ideas. Carrie Austin is a Chicago alderman, and, as she says, she’s constantly dealing with problems unique to Chicago. But she’s convinced she’s got one problem a lot other cities face, too: what to do with vacant industrial land. She’s got 200 acres of it in her neighborhood. Austin says, even with some clean-up in recent years, it’s been tough getting someone to come in with some work – and jobs. Austin says there’s a portion of this land she’s not so worried about now. 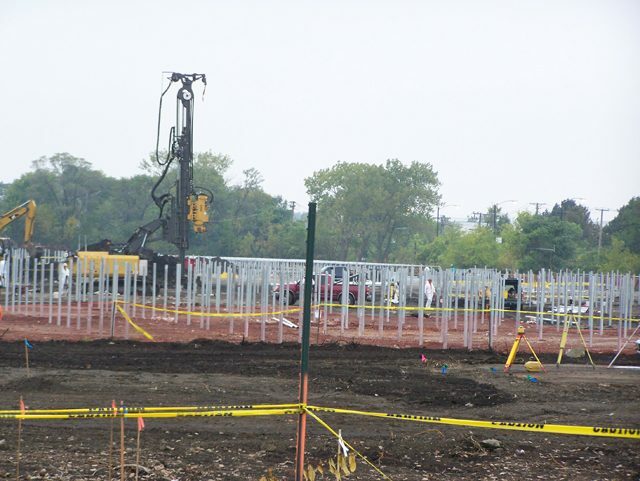 The energy company, Exelon, is putting up solar panels on about 40 acres. And for the first time in a long time, there’s the sound of new construction there. 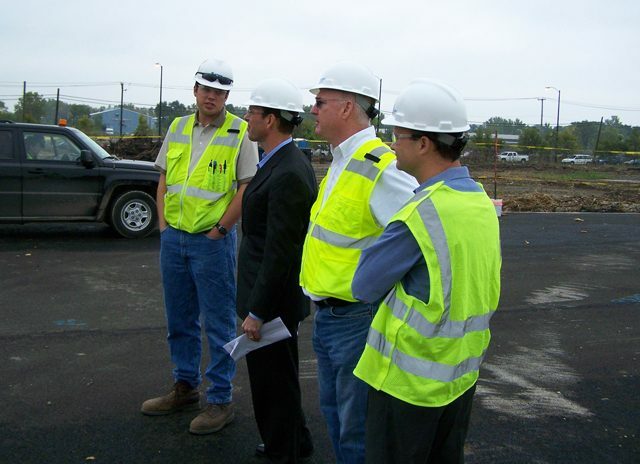 That’s Tom O’Neill – he develops new businesses for Exelon. We’re walking along a padded-down field of soil where there used to be factory walls, machines, and concrete floors. This is a transformation a lot of cities would envy, but I’m curious why Exelon’s doing this in Chicago and whether it’ll repeat it in other cities. On the first question, O’Neill says Exelon’s putting up the panels because it’s got a plan to cut its own carbon emissions. This Chicago solar project qualifies for federal loan guarantees and tax credits, but even with that, it’s not clear Exelon will make a profit. So, the question is: will Exelon repeat this? O’Neill says he’s hopeful. To get an industry-wide view of whether other cities might get urban solar farms, I talk with Nathaniel Bullard. He analyses solar power markets for New Energy Finance, a consulting firm. Bullard says cities are eager to re-use land that can be an eye-sore, or even cost a city money to maintain. 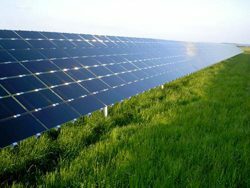 For example, some southwestern cities have old landfills – and they’re planning to put solar farms on top. Bullard says companies are taking a closer look at solar power because states are mandating utilities buy at least some. And the US Congress changed some tax laws recently. Exelon is taking advantage of that. Bullard says we’re likely to see more urban solar projects like Chicago’s – if the technology gets cheaper and government incentives stay in place. Bullard has this joke about solar power that he swears is true. He says, in the solar industry, the strongest light does not come from sunshine – it comes from government policy. The price of solar panels took a huge drop this year. Experts say one of the main reasons solar is cheaper is because of Spain. The country is a big buyer of solar panels, or what are called PV modules, largely because Spain offers generous incentives for people who buy them. Galen Barbose is with a federal research lab in Berkley, California. He says, because of the economic crisis, Spain had to slash those incentives. The cost of solar still isn’t on par with conventional energy, but Barbose says things are headed in that direction. 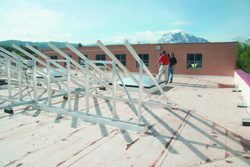 Recently, 30 panels were stolen from one of the “greenest” buildings in Colorado. Monique Hannis is a spokesperson for the Solar Energy Industries Association. She says, over the last year, solar theft has become a greater concern. disappearing Hannis says they’ll likely start. based nonprofit that trains students world-wide for careers in the solar industry. the house belonging to President Obama’s 86 year-old step-grandmother. becoming part of installing a solar array. thieves by adding tracking numbers as part of a recycling program. such as eBay or Craigslist because they could be buying stolen panels. bolts cost about two dollars per panel. ago. Now he gets orders daily. dollars on roof-tops and in fields. Lester Graham: Concentrating solar thermal, or CST, can store power. Basically, mirrors are used to concentrate solar rays, heat up water, generate power. The heated water can be stored as heat in tanks – like coffee in a thermos – and produce electricity when needed. Britt Staley is with the World Resources Institute. She’s the lead author of a new report on concentrating solar thermal. So, you found, if it’s done right, CST could be built instead of coal-burning power plants. How practical is that? Britt Childs Staley: We think that concentrating solar thermal is a very exciting renewable energy technology precisely because of this potential for storage. 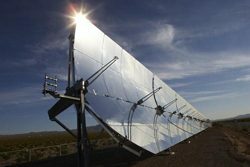 If you incorporate thermal energy storage, or fossil fuel backup, with your concentrating solar thermal, you can actually use the power of the sun around the clock. Graham: Now, the CST plants are expensive – they’re more expensive than building a coal-burning power plant. So, why build them if that’s the case? Staley: With climate change as a major concern in the US and around the world, we are going to need to reduce our dependency on coal in the power sector. And currently, as you said, concentrating solar thermal power is more expensive than coal, but in this report we’ve identified several policy interventions that could help reduce costs. For example, a price on carbon such as the cap-and-trade mechanism in the current Waxman-Markey Bill, and then some solar-specific policy interventions would help as well. Graham: Now, when you say ‘policy interventions’, really you’re talking about government subsidies, right? Staley: Yes. Support for R-and-D, for deployment such as the investment tax credit that’s currently in place. Graham: Obviously, the most sunny places would be the best location for a concentrating solar thermal plant. Graham: And the most sunny places are often in arid places, such as the US Southwest. So, they’re the driest places, and CST relies heavily on water. So, in the long term, what’s the solution? Staley: There are several alternative cooling technologies that are available and that can cut water by up to 95% to 98% in places where that is a concern. Graham: Is this completely experimental, or have we seen this done anywhere in the world successfully? Staley: It’s absolutely been done successfully. Here in the US, we have some of the longest operating CST plants. And Spain is another good example of where CST deployment has been particularly successful to date. Graham: How long would it take to build one of these, and how soon could they contribute, and how likely is it to happen, given the cost? Staley: A lot of the plants that we see on the drawing board right now are expected to be in operation in the next 2 to 5 years. With climate change concerns, with climate change legislation working its way through the House and Senate, coal plant investments are not particularly attractive right now. And investors are very wary of putting their money into something that’s going to be significantly more expensive in the coming years. Concentrating solar thermal, on the other hand, is a zero-emissions power resource. Also, it has zero fuel costs. Graham: Britt Staley is the lead author of a report on concentrating solar thermal power plants. She’s an associate researcher with the World Resources Institute’s Climate Policy Team. Thanks very much for talking with us. underneath which recognizes the company that sponsored the project. 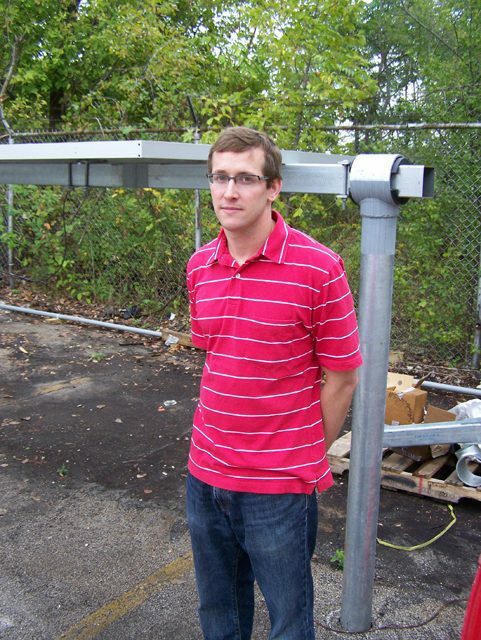 Thomas Wither is the founder of the National Adopt-A-Watt program. 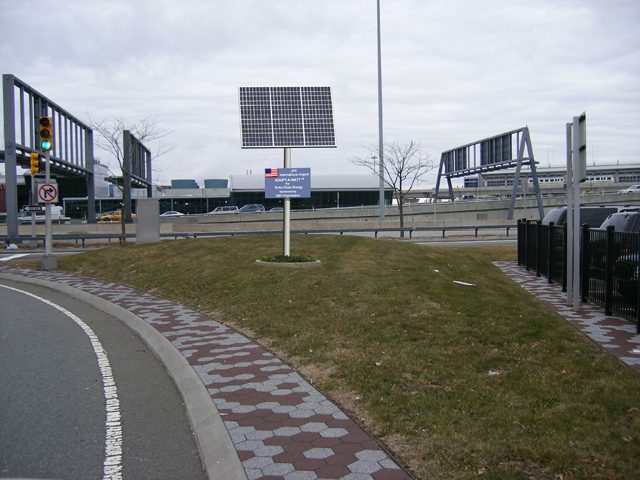 Wither says several airports are among the first to use the “adopt-a-watt” program. Piccard says they have a lot to test out, especially how to fly at night. 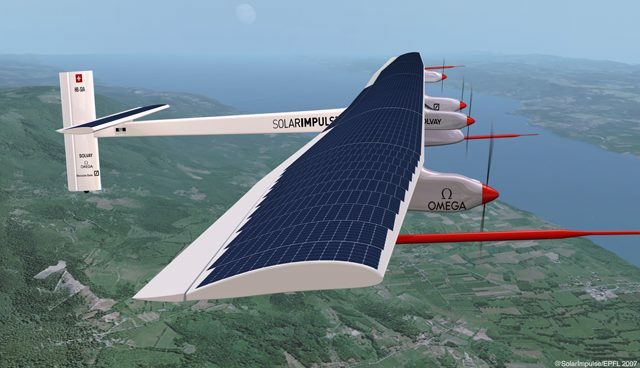 If all goes well, the first real test flight is planned for next year. “Of course side-skirts are not something new in the transport world. They are available. specific device has an aerodynamic trick on the front that makes it much more efficient. a 15% savings in fuel.